Independent, sincere, loyal and decisive? Clever, courageous, lively and not afraid of difficulties. Maybe a little sensitive, conservative, stubborn and emotional? Or are you warm-hearted, good-tempered, loyal and honest? Gentle, considerate, responsible and optimistic. Maybe a little naïve, gullible and short-tempered? The Lunar New Year arrived yesterday, February 5th, and with it we exited the Year of the Dog and entered the Year of the Earth Pig. Whether you follow and believe the Chinese Zodiac, or the only thing Chinese in your life is take-out, there’s something valuable in looking at and remembering “assets” all around you. How many of your Ideal Customers engage with you because of your personality…your values…and they shine through everything you do? They aren’t buying your products. They don’t care about your solutions. There’s just something about you that ‘clicks’ with them, some feeling that shines, glows or vibrates as you speak with your Ideal Customer about the challenge/issue/problem they want to be rid of. You’re likely to be as much of the attraction as anything you say. Did you use all of your assets during January to start your new year fast? Starting this new year on your Goal target for January, rather than falling behind, gives you the confidence to do even more in February. Be true to you. Use your assets…all of them…to rock February. 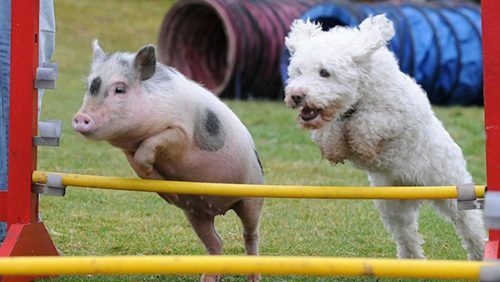 No matter whether you’re propelled by the Dog or the Pig, YOU will be a hero. Grab all your assets and use them to your best advantage.